1256. Burns: Td? 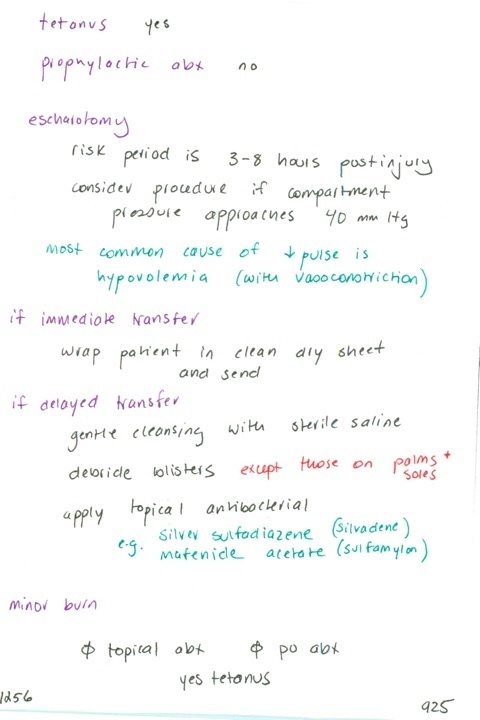 Prophylactic abx? // Risk period for constrictive eschars // Most common cause of decreased pulses // Burn wound management if immediate transfer to burn center, if delayed transfer // Minor burns: topical abx? po abx? Td?